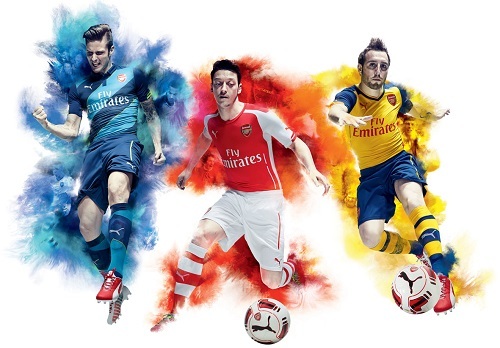 PUMA produced something quite spectacular last night as they unveiled the new Arsenal Trilogy of Kits. PUMA have not really been mainstream in English football (apologies to Newcastle) and their marketing has been more of a guerrilla marketing approach. But now on sealing the deal with one of the largest and historic clubs in the World, PUMA delivered what can simply be described as breathtaking. 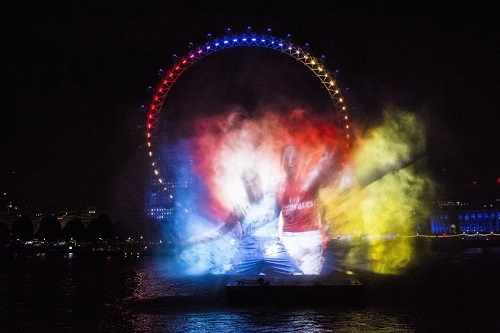 The Kit launch was hosted on the North Bank of the River Thames where an unreal water projection on the River Thames turned the London Eye into the Iconic clock end and the professor-like voice of Arsene Wenger took you through a journey of a special club and to share the inspiration between the individual Future, Forever & Victorious designs. The Home and Away Replica shirts are available for fans to purchase at PUMA stores, Totalsports, Cross Trainer and select retailers nationwide at a recommended retail price of R899 per shirt. The Cup Kit will launch in-store in September 2014. Arsenal and PUMA, stronger together.